As superintendents across the country transition from mowing and rolling into winter weather activities like tree maintenance and snow removal, we wanted to take the opportunity to reflect back on superintendent success stories from 2018. 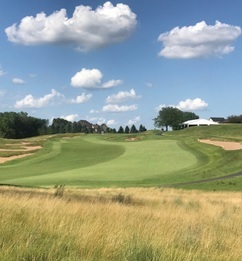 Syngenta has partnered with Golf Course Industry magazine to showcase how key Syngenta products and agronomic planning have helped customers condition their courses to perform at their best and recover from stress. Check out some of the highlights from this year below. To find an agronomic program for your region, visit ConditionPerformRecover.com. You can also order a free agronomic poster tailored for your region. A reliable agronomic program helped Shadow Hawk and Black Hawk after Hurricane Harvey. Brent Schilhab, the director of agronomy at the Shadow Hawk and Black Hawk Golf Clubs in Richmond, Texas, had always had an issue with fire ants at his course. But after his course was hit hard by floodwaters from Hurricane Harvey in late August 2017, the population expanded. To address the issue, Schilhab turned to Advion® fire ant bait. Learn more about how an agronomic plan helped Schilhab and his team overcome challenges like fall armyworms, sedges, doveweed and more. Jeff Girard, superintendent at StoneRidge Golf Club, in Stillwater, Minnesota, knows the importance of a late fall snow mold application. Late in 2016, Girard learned of a new Syngenta fungicide just coming onto the market, Contend®. He gave it a limited shot in 2016, and was happy with the results. So when StoneRidge was experiencing heavy disease pressure in the fall of 2017, he decided to give Contend a full shot. In the end, StoneRidge Golf Club came out clean and looking great when the snow finally melted in late-April. Girard couldn’t be happier with the product. Learn more about his experience with Contend. Between heavy play and intense drenching, Copperleaf Golf Club experienced extremes in 2017 that tested every acre – and employee. 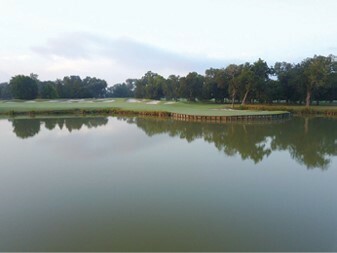 Located in Florida’s golf-rich southwest coast, Copperleaf supported a record 47,000 rounds last year. Learn more about how David Dore-Smith’s agronomic program helped him keep up with the high volume of play and quickly recover after his irrigation system shut down. Tyler Ingram knows tough growing environments. Based in the transition zone, Ingram and his team at Bluegrass Yacht & Country Club maintain multiple varieties of grasses. 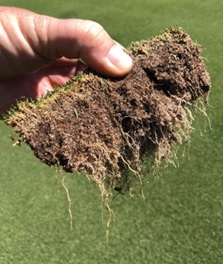 Last year, Ingram worked with Dr. Lane Tredway, technical services manager for Syngenta, to make updates to his agronomic program based on the addition of a new variety of fairway grass. Learn how proper preparation along with his new plan helped him tackle a number of biotic and abiotic stresses. 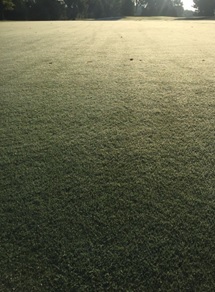 For additional feature articles, check out Golf Course Industry magazine. ​​​​​​​All photos are either the property of Syngenta or are used with permission. Syngenta hereby disclaims any liability for Third Party websites referenced herein. ©2018 Syngenta. Important: Always read and follow label instructions. Some products may not be registered for sale or use in all states or counties and/or may have state-specific use requirements. Please check with your local extension service to ensure registration and proper use. Contend is sold as a copack of separately registered products: Contend A and Contend B. Advion®, Contend® and the Syngenta logo are trademarks of a Syngenta Group Company. All other trademarks are property of their respective owners.